Our firm is dedicated to selling and training clients to utilize for their businesses an array of accounting software, including QuickBooks and Peachtree. We have individuals certified to handle technical questions about your software needs, implement your software solution and train you and your staff. Please call our office to find out more regarding the latest software services available. 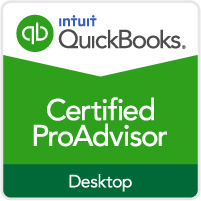 We also have a Quickbooks Proadvisor on our team!